SAN ANGELO, TX — A renowned San Angelo criminal was shot and killed by a Texas DPS trooper on I-10 near Boerne Thursday afternoon. By Friday afternoon, authorities identified the dead man as Marcus McVae, 34. McVae was wanted in Tom Green County on charges of drug dealing. According to the police report on Dec. 5, 2018 he was stopped for a traffic violation in the 1700 block of MLK Blvd. During the traffic stop, police found crack cocaine, and gummy bears laced with THC, and marijuana. He also had a large amount of cash, according to his indictment. When McVae was killed, he was out of jail on a $150,000 bond awaiting a Nov. 2019 trial date in a Tom Green County district court. Prior to this, McVae was involved in the 2016 robbery of an oil field company off U.S. 67 southwest of San Angelo. During the robbery, McVae and accomplices tied-up and bound with duct tape an employee who lived on the premises. Then McVae and the robbers stole four oil field “gang trucks”, welders, tools, the titles to the vehicles, files and assorted items. According to testimony in court, the suspects then attempted to drive the four trucks across the Texas-Mexico Border into Acuña, across from Del Rio. McVae’s trial was declared a mistrial but McVae subsequently pleaded guilty to organized criminal activity in a plea deal before another trial began. He was sentenced by a Tom Green County district judge to 10 years probation. In the traffic stop in December 2018, McVae resisted arrest, according to the police report. McVae had a violent past. 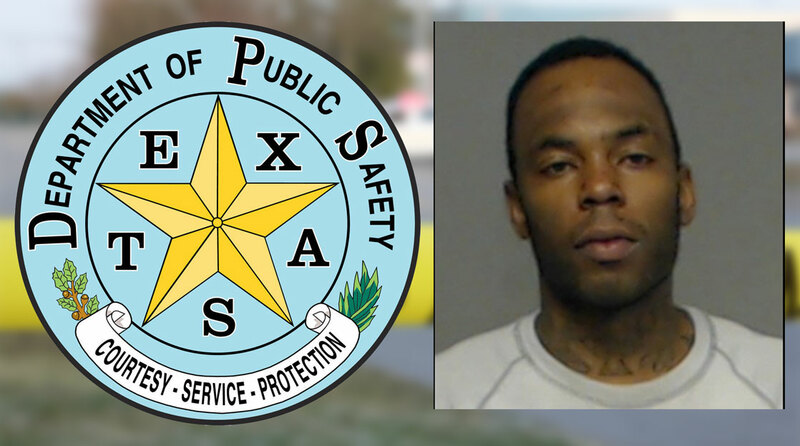 According to court documents, he was convicted of aggravated robbery in Big Spring in 2004. In 2010, he was convicted of assault of a public servant in Pecos County. According to KENS-5 in San Antonio, McVae was driving eastbound a few miles west of Boerne on I-10 when a DPS trooper pulled him over. DPS told KENS-5 that McVae initially fled in his late model white Chevrolet Impala but eventually stopped and fled on foot, running north across all four lanes of I-10. McVae ran into the woods next to I-10 where an altercation ensued, resulting in the DPS trooper firing his weapon one time at McVae and killing him. A woman traveling with McVae also fled on foot but was quickly found and taken into custody. Texas Rangers have taken over the investigation. The trooper involved in the shooting was placed on administrative leave, which is standard procedure. If only the court system was more lenient with the probation program for these type of drug slugs, they could have been rehabilitated (sarc)(: Its a shame this slug had to create a situation for DPS officer to have to shoot and kill him. But then again this was inevitable according to this slugs record and current path of decisions only diference is it was a cop that killed him and not one his drug slugs. Facts are facts but in all reality sometimes saying nothing at all is appropriate. Having a comment box doesnt mean you have to insult the already assulted. At the end of the day lives were changed with NO extra help of your opinions. Get a hobby that doesnt effect innocent lives in the matter. Learn to shut up and just listen. *bigdaddy theres a special place for special ppl like you in hell. ....the man chose to live his life as a worthless piece of human debris and affected god only knows how many peoples lives in a negative way on a day-to-day basis and altered their innocent lives. Hope he found salvation and is at peace now. There is a special place for guys like McVae. Like it or not, there are people who have no redeemable value to society, and McVae exemplified that. He and others like him have no intention of ever contributing anything to society, and are irreversibly damaged, living their lives by using violence to take whatever they want, feeling absolutely no compunction to live by the laws that we all must. There is true evil in this world, the type that cannot ever be rehabilitated. The only sadness I can express concerning his death may be for the family who may have tried their best to instill in him some sense of morality and values as a youth, and the officer, who had to take a life in order to save his own. Big Daddy, next time you think about typing words that someone could, maybe, possibly, think are offensive if they are having a bad day, but if they aren't then it would be fine, but it could go either way just depending... by all means just go on a GTA style crime spree instead. Heaven will forgive your misdeeds, but Hell will remember how you made us feel. Apparently.